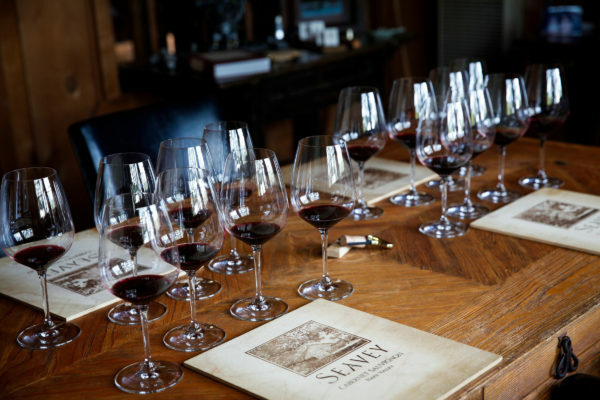 Wine Critic Jeb Dunnock has awarded the 2015 Seavey Cabernet Sauvignon 97+ points in his review “Napa’s Exuberant, Powerful 2015s” released December 29, 2017. “The flagship 2015 Cabernet Sauvignon comes all from estate fruit and spent 20 months in 55% new French oak. A classic and old-school as they come, with terrific cassis and blueberry fruits as well as scorched earth, graphite and lead pencil, this full-bodied 2015 has impeccable balance, building tannin, beautiful purity of fruit and a great finish. There’s a scant 400 cases produced but it’s certainly one of the most classic, age-worthy wines in the vintage.” 97+ points, Jeb Dunnuck, Dec. 2017. Dunnuck also reviewed two Seavey 2015 Merlots—the 2015 (95 points) and 2000 (92 points) —as well as the 2015 Caravina Cabernet (91 points).